Click the button below to add the Dog Shampoo Skin Calming Oatmeal to your wish list. A Shampoo Skin Calming Oatmeal that relieves your furry friend from constantly scratching their irritated, dry itchy skin. Sulfate free, pH balanced formula with nutritive cleansers that are gentle on their skin and coat. Made with colloidal oatmeal for a cleanser that moisturizes, soothes and protects. I love this shampoo and I guess my dogs do to. My dog use to scratch his fur at night constantly. This kept my wife up and myself. Now we all sleep better and his coat looks brand new! This powerful yet gentle nutritive cleanser has no dyes, no silicone, no salt (sodium chloride) no artificial fragrances, no parabens making it perfect for your best friend. Filled with vitamin rich oils such as Coconut, and Meadowfoam Seed to help moisturize your dog’s skin while calming minor irritations in the process. Wow, the irritated skin is gone. For the past year we have looked and tried numerous shampoos to help with the dry skin. I have been using Just Nutritive products for myself for years and finally decided to try their dog shampoo. Its been over a month and its as if my dog never had any skin issues. So pleased with this purchase. This skin calming shampoo is sulfate free made from the gentlest bio-degradable nutritive cleanser and make lots of thick creamy lather that will soothe and moisturize your dog’s skin. Its thick nutritive lather of bubbles and suds will not wash off flea and tick products. 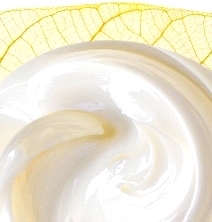 Coconut and Meadowfoam Seed oils are vitamin rich skin and coat moisturizers. Soothing Aloe Vera and Foraha oil moisturize and comfort skin and leaves it feeling silky smooth and protected. Calendula botanical extract calms minor skin irritations. This nutritive skin calming oatmeal shampoo with Coconut and Meadowfoam Seed oils moisturizes to leave the coat soft smooth and shiny with Vitamin E to help improve your dog’s skin with vitamin rich hydration. Orange essential oil is a safe nutritive ingredient that adds the wonderful scent of fresh orange peel oil. My puppy suffered from itchy, sensitive skin that was very flaky. We tried recommended brands from amazon and tried stuff from PetSmart. Nothing seemed to help his condition. After speaking with a friend, they suggested we try Just Nutritive. 3 months and counting and our pup looks and feels wonderful. No more dry skin and now he’s constantly playing. Tiffany 4 – irritated skin gone! I think this a really good dog shampoo, especially for the price and whats inside. I like the smell but my family members do not. 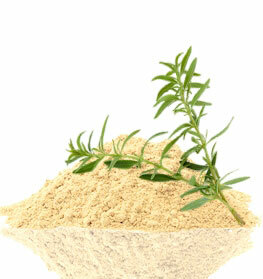 Sammy 4 – Natural and no chemical ingredients. Not sure why people complain about the price. If you’re paying for something natural typically the price is more for better healthier ingredients. This is my second purchase and highly recommend. Phil 4 – No more itching!!! So, happy I came across this product. Natural ingredients that I can pronounce, smells wonderful, lathers well and cleans effectively and reliefs my dogs skin problems. Not very happy about the smell of this product. It has worked great but the scent lingers and for me it gives me a headache. Katie 3 – The smell I am not fond of. But my dog isn’t itching anymore. The texture takes a bit of getting used to. Seems you have to use a decent amount to work it through your dogs coat. Took a bit of work to lather this through my German Shepard’s fur. However, in my opinion this is a must by for treating your dogs skin condition. Personally, I was not to fond of the smell, neither was my girlfriend. If they could fix the smell this product would easily be a 4. My dogs fur seems softer and the color looks vibrant. No more itchy dog for this household. This is my 4th purchase of this shampoo. I use it every few weeks on my English bulldog Marley. This really has done the trick for his irritated dry skin. I wish they would sell this in Petco or PetSmart because sometimes shipping can take a while to arrive. First, I will say this product has been great. I have purchased it twice and my dogs skin and coat has never looked or felt better. My last purchase when I opened the box the bottle has leaked everywhere. I understand shipping and it may have been UPS fault. I contacted JN and there were nice enough to send me a new bottle. The product is a bit expensive, I guess because its natural but then there is shipping included. I will say I do really like this shampoo and it has worked wonders in lessening my dog’s irritation. I have only used it once but the shampoo seemed to help. Her skin wasn't as irritated as it usually is after a bath and she hasn't been scratching as much.